Keeping your kitchen knives happy! 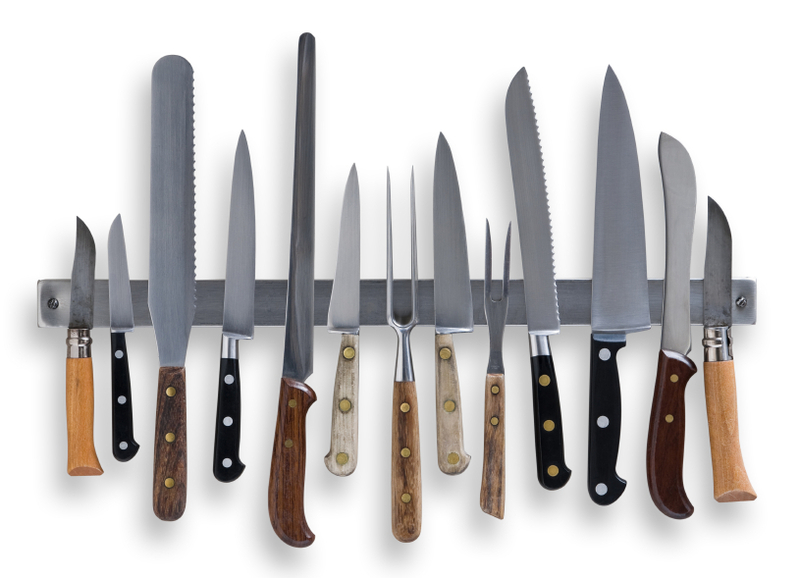 For any chef or home cook – the importance of looking after your kitchen knives is invaluable! Because keeping your kitchen knives happy means that they will last longer, cut perfectly every time & more than likely, help you slice/dice/chop better & faster – decreasing your prepping time and allowing more time for sitting back and enjoying the finished product! Clean – like all utensils, cleaning them directly after use means that they will stay healthy & hygenic. Take a warm soapy cloth and gently scrub, then rinse with warm water & dry with a clean cloth before packing away. Dry & Oiled – For carbon steel knives, rust can creep up without you realising it – so enusre that you oil the knive with food-grade mineral oil immediately after use to help prevent rust forming. Sharpening – a blunt blade can be dangerous not to mention frustrating to work with – so ensure that you keep your knives sharp! Either with a whetstone, blade sharpener or sharpening steel. Cutting Surface – hard to believe, but the surface on which you slice/dice/chop can actually damage your knife! Avoid ceramic, glass, marble & granite surfaces and invest in plastic & wooden boards instead!